Katie Stevens Had A Mini-Faking It Reunion at Her Bridal Shower | Katie Stevens, Michael J. Willett, Rita Volk | Just Jared Jr.
Katie Stevens celebrated her bridal shower over the past weekend and it was attended by all her amazing friends and family – and that included her former Faking It co-stars Rita Volk and Michael J. Willett. The three former stars of the MTV series even snapped a pic together to share on social media and we are living for it! “feeling showered with love 💕,” she simply captioned the pic with Rita and Michael sandwiching her in the middle. Check out both pics below! I have the best friends ❤️ thank you @imthekatie and @soniayoungstyle for throwing me the best LA bridal shower 🌸👰🏻 and for all my friends who attended! (some not pictured) I love you all so much! 'Faking It' Cast Says Goodbye To Show - Read Their Emotional Tweets Here! 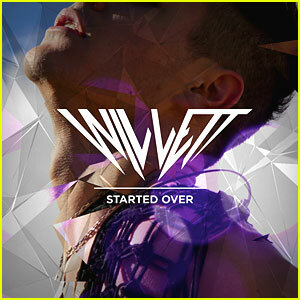 Michael J. Willett Drops 'Started Over' Video - Watch Now! Faking It's Michael J. Willett Premieres 'Started Over' Lyric Video With JJJ!